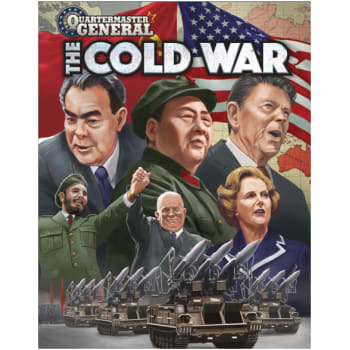 The Quartermaster General series goes nuclear!You will play a Bloc of nations: the Soviet Bloc, the Western Bloc, or the Non-Aligned Bloc. Each Bloc is considered an enemy to each other Bloc, even if players decide to cooperate temporarily to preserve the balance of power. On your turn, you'll play cards to unfold a narrative of the Cold War, as it might have been. You may decide to use military force when espionage fails - but escalating tensions will reduce the penalty your enemies pay to use their WMDs in retaliation!